Welcome to the last day of Stamp Highlights! 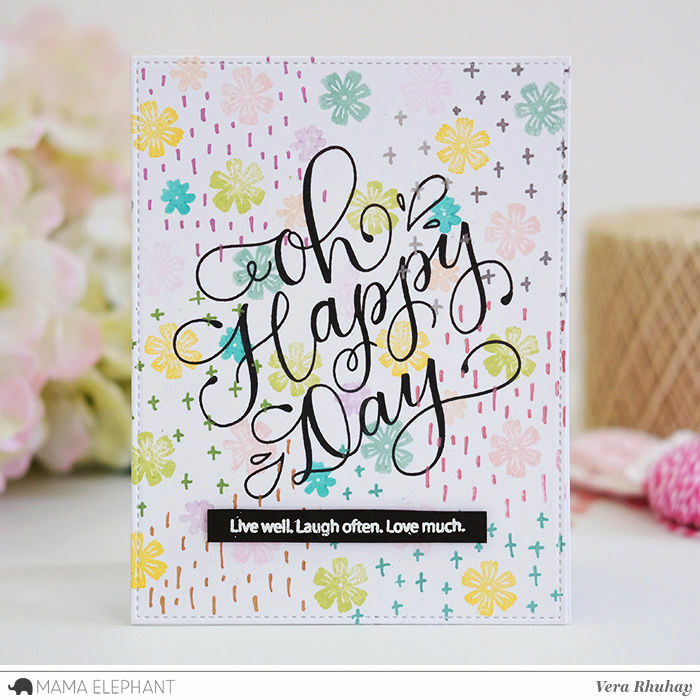 Today we are looking at Paola's gorgeous written Oh Happy Day Stamp Set! It is indeed a happy day! 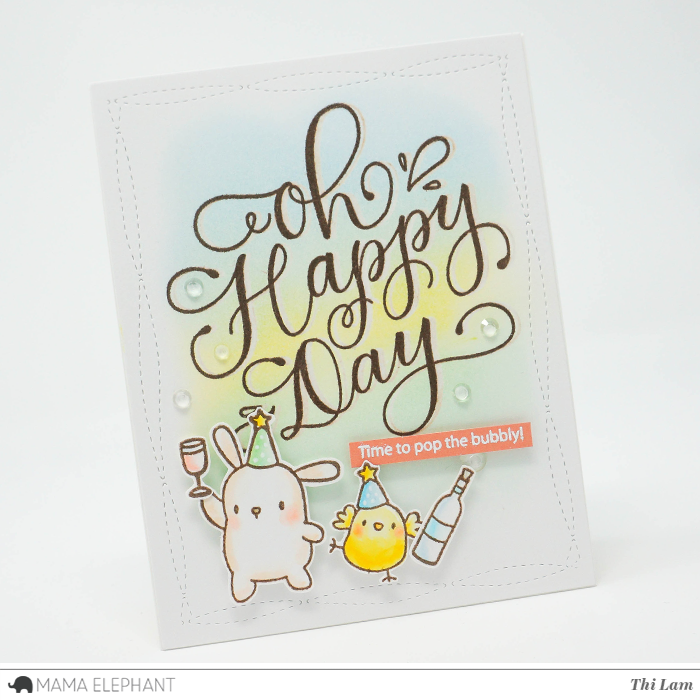 Love Thi's little bunny and chickie duo popping bubbly! Such a sweet card by Vera for brighten up your day! 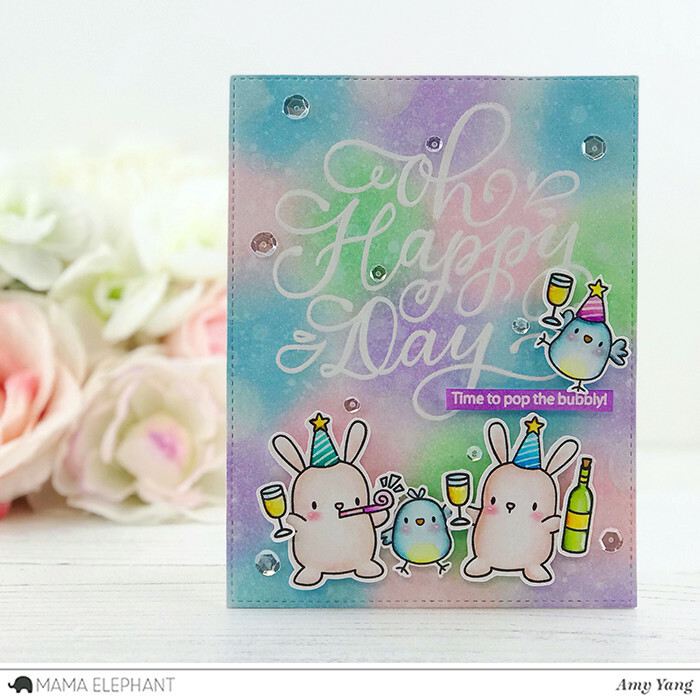 We love the celebratory scene Amy created with the Party Animals stamp set! Laura created a fun shaker card including a few of the sweet images from She's So Lovely. 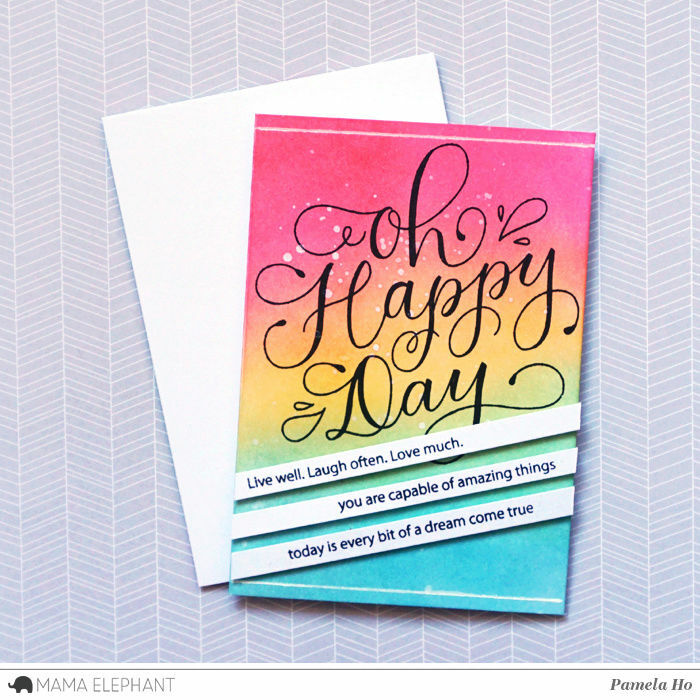 We love this rainbow background and the slanted sentiments stripes that Pamela created here! Fantastic cards! So fun and creative. Wonderful cards and fun images. I love this large greeting and all the beautiful cards!! !